Ever wondered how people can just sit back at home and do nothing but work on their computer, whenever they want? Ever wondered how people can afford to go to exotic location and still not work 24/7. Well, look no further, you just found your solution. This book, Adense Marketing Cash Flow, teaches you everything you need to know about how to start a business online. Don't have a product to sell, well that is not a problem, because this book also teaches you how you can make money by helping other companies sell their product. 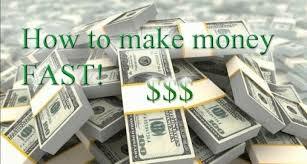 In this book, you will find the Fast and Easy way to earn money. YES, no more struggling financially and most importantly: No more unpayed bills!